For this week’s competition we’ve teamed up with our good friends at Momentum to give away one of their M50 Mark II Dive Watches as a prize! 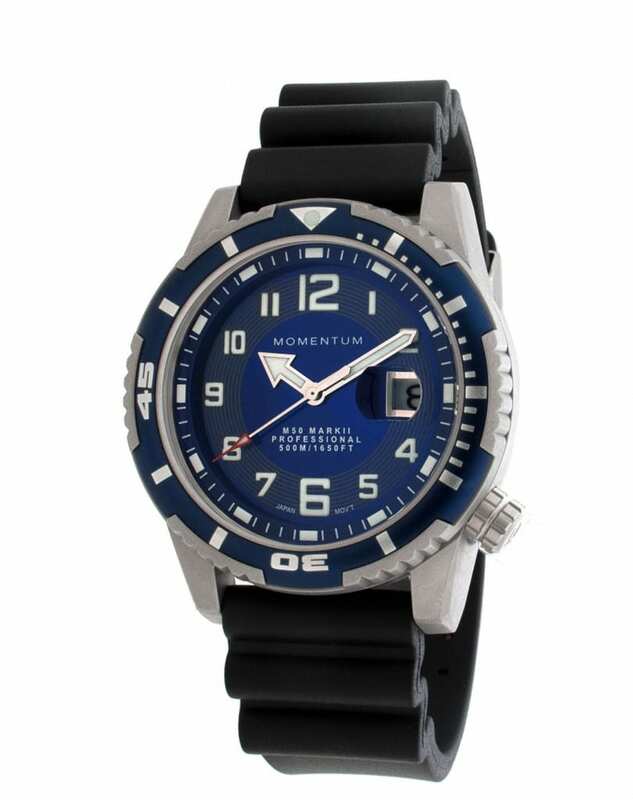 Momentum’s M50 DSS (Deep Sea System) watches have always been “Flagship” models of the company’s line, with their unique “chiseled” steel cases. Momentum obsessively over-engineer these watches to take almost any beating you give them and keep going, year after year. Tested to a pressure of 500M/1650FT, you can drive over them with a truck and still not break them. Every M50 features a superlative Swiss SuperLuminova® luminous dial/hands, a scratchproof sapphire crystal and a special Long-life movement, that only requires a new battery every 8-10 years. This is the watch that is so rugged and reliable, you can “strap it on and forget about it for a decade”. In a recent blog (which you can read here), Nick and Caroline Robertson-Brown dive the reefs and wrecks of Grand Bahama. They got to fit in three reef dives on their underwater tour of the island, but how many wreck dives did they get to do? Previous Previous post: Diving in the UAE: Who would have thought? !